August 2005 – Consumers of dietary supplements have been growing increasingly concerned over the past few years about the activities of an organization known as the Codex Alimentarius Commission. 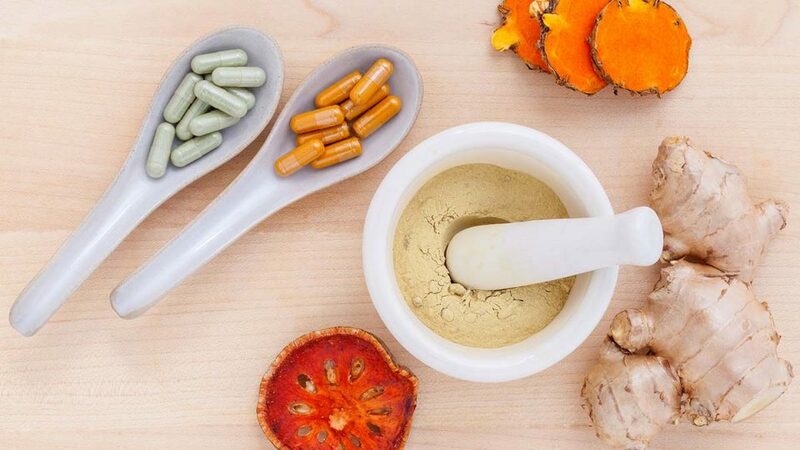 Established in 1963 and sponsored by the United Nations’ Food and Agriculture and World Health Organizations, attention on the Commission stepped up a notch recently when it adopted restrictive global guidelines on vitamin and mineral supplements at its annual meeting in Rome. Drawn up by one of the Commission’s subcommittees, the Codex Committee on Nutrition and Foods for Special Dietary Uses (CCNFSDU), these guidelines threaten to dramatically reduce the availability and dosages of vitamin and mineral supplements across the entire planet. Nevertheless, what is not commonly realized is that there are currently 27 different active Codex committees; each one of which is tasked by the Codex Alimentarius Commission to set standards and guidelines for different aspects of the global food trade. In addition to the CCNFSDU, for example, other Codex committees are currently engaged in the act of setting global standards for foods including fruits and vegetables; fruit and vegetable juices; fats and oils; meat and poultry; fish; cereals, pulses and legumes; milk and milk products; natural mineral waters; sugars; cocoa products and chocolate, amongst others. Similarly there are other Codex committees who are tasked to deal with areas such as food hygiene, food labelling, pesticide residues, residues of veterinary drugs found in foods, food additives, regional coordination work, and so on. Moreover, although it is the work of the Codex Committee on Nutrition and Foods for Special Dietary Uses that has thus far attracted most of the attention from the natural health movement, due to its development of the Guidelines for Vitamin and Mineral Food Supplements, the activities of other controversial Codex committees have hitherto been largely ignored. However, and as we will examine here, the work of one of these committees, the ad hoc Codex Intergovernmental Task Force on Foods Derived from Biotechnology, is to be ignored at our peril, as it already has the potential to profoundly affect the health of not just all human life, but also that of the planet itself – along with its many complex and delicate ecosystems. 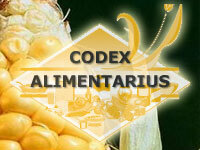 The ad hoc Codex Intergovernmental Task Force on Foods Derived from Biotechnology was first established in 1999. Its main objective is stated as being to “( T)o elaborate standards, guidelines, or other principles, as appropriate, for foods derived from biotechnology .” In the course of its work the Task Force coordinates and collaborates not only with other Codex committees, but also with the UN Food and Agriculture Organization (FAO) and the UN World Health Organization (WHO), both of whom have been providing the Codex Alimentarius Commission with scientific advice on the food safety aspects of foods derived from biotechnology since 1991. In March 2002 and March 2003 the ad hoc Codex Intergovernmental Task Force on Foods Derived from Biotechnology submitted reports to the Codex Alimentarius Commission recommending the adoption of global guidelines for foods derived from biotechnology. 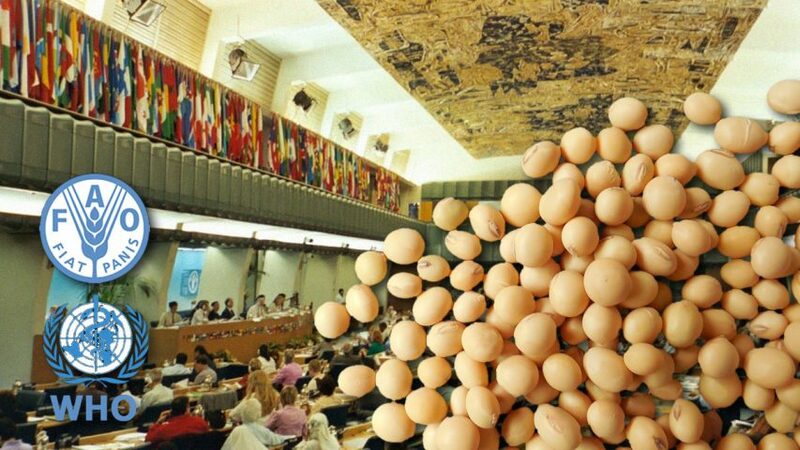 Following a meeting of the Codex Alimentarius Commission that subsequently took place in Rome in July 2003 these guidelines then became finalized and adopted as new global standards. So what are these guidelines, and why should we be concerned about them? Principles for the Risk Analysis of Foods Derived from Modern Biotechnology. The purpose of this text is stated as being to “provide a framework for undertaking risk analysis on the safety and nutritional aspects of foods derived from modern biotechnology.” In effect therefore, this text essentially defines the manner in which GM foods shall be deemed to be “safe.” Nevertheless, and as the document itself admits, the text does not address the environmental, ethical, moral or socio-economic aspects of the research, development, production and marketing of GM foods, and nor does it address the issue of GM animal feed or animals fed with GM feed. As far as the Codex Alimentarius Commission is concerned then, so long as GM foods are deemed to be “safe” there is no reason to prohibit their sale anywhere in the world. Guideline for the Conduct of Food Safety Assessment of Foods Derived from Recombinant-DNA Plants. This Guideline addresses the safety and nutritional aspects of foods consisting of, or derived from, plants used as sources of food that have been modified by modern biotechnology. As with the Draft Principles for the Risk Analysis of Foods Derived from Modern Biotechnology however, the document does not address the environmental risks of GM foods, and nor does it address the issue of GM animal feed or animals fed with GM feed. Guideline for the Conduct of Food Safety Assessment of Foods Produced Using Recombinant-DNA Microorganisms. This Guideline addresses the safety of foods produced using microorganisms that have had their genetic structure altered using modern biotechnology. As the document itself admits however, it does not address either: the safety of microorganisms used in agriculture; the risks related to environmental releases of GM microorganisms; the safety of substances produced by microorganisms that are used as additives or processing aids; the safety of food production workers handling GM microorganisms; or a number of other important safety issues. Similarly, the Guidelines do not address the issue of GM microorganisms used in animal feed, or food derived from animals fed with food produced using GM microorganisms. Annex on the Assessment of Possible Allergenicity of the Draft Guideline for the Conduct of Food Safety Assessment of Foods Derived from Recombinant-DNA Plants. This text deals with the potential for foods containing material from GM plants to cause allergic reactions. However, and as the document itself admits, at the present time there is no definitive test that can be relied upon to predict an allergic response to GM foods in humans. As such therefore it is likely that many such sensitivities, whether minor or more serious, could only come to light once GM foods were already being widely consumed. The long-term implications of the adoption by Codex of global guidelines on foods derived from biotechnology cannot be understated, as they effectively mean that any WTO member country producing GM foods that conform to them can now file a complaint with the WTO whenever another member country refuses to allow their goods to be imported and sold within its borders. In the process of resolving such a dispute, the WTO Dispute Settlement Body would refer to the texts on biotechnology that have been adopted by the Codex Alimentarius Commission, and would be likely to find in favour of the country that was acting in conformity with them. As such there now exists a very real risk that GM foods could eventually be forced onto our dinner plates via Codex and the WTO. Worse still however, this process is already well underway. In May 2003, only two months after the ad hoc Codex Intergovernmental Task Force on Foods Derived from Biotechnology had recommended the adoption of the new global guidelines for foods derived from biotechnology , the United States, Canada and Argentina filed trade complaints at the WTO against the European Union (EU). The essence of the United States’, Canadian and Argentinean complaints centers around the fact that the EU has essentially applied a moratorium on the approval of biotech products since October 1998, and that this has restricted GM products manufactured in these three countries from being imported into the EU. If the WTO rules in favor of the United States , Canada and Argentina in this dispute then the EU would be forced to accept GM foods from these countries. If the EU still refused to allow these foods to be imported however it could face heavy punitive fines or WTO-endorsed trade sanctions until such time as it agreed to comply. The final report from the three-man WTO Panel who are judging these cases is currently expected to be released by the end of October 2005. European Commission caving in to pressure from the WTO? Since the WTO dispute began the European Commission has subsequently approved three GM crops, despite the continuing existence of numerous scientific questions, environmental issues and health concerns that remain to be resolved regarding their safety. Moreover, the European Commission’s approval of two of these crops, Bt11 sweet corn from Swiss agrochemicals firm Syngenta and NK603 maize designed by biotech giant Monsanto, were essentially pushed through under an obscure facet of European law known as the ‘comitology procedure’; whilst the third, a maize known as MON 863 produced by Monsanto for use as animal feed, was approved in spite of opposition from more than half of the EU’s 25 governments. In addition the Commission has also tried, albeit unsuccessfully, to reverse bans on GM crops and food that Austria, France, Germany, Greece and Luxembourg have put in place in their respective countries. As such it is now beginning to look as if the Commission’s actions in these areas are a direct result of the GM trade dispute in the WTO, and that they are gradually beginning to “cave in” to mounting pressure from the WTO. Such an eventuality may seem like fantasy to some at present, but to dismiss it out-of-hand would be to ignore the immense lobbying and financial power of the pharmaceutical and biotech GM food producers. These companies are fully aware of the fact that growing numbers of people are opposed to GM food products, and have long since realised that they will not be able to change public opinion anytime soon. Given the truly enormous financial sums that they are investing in the development of GM foods therefore, and the even larger potential profits that are at stake, it would be naive of us to assume that they will not be pressing for current GM food labelling laws to be amended in their favour. In conclusion, therefore, the message seems clear: Codex affects us all – regardless of whether we buy vitamin supplements; and, as such, further support for the Foundation’s anti-Codex activities is in all of our best interests.